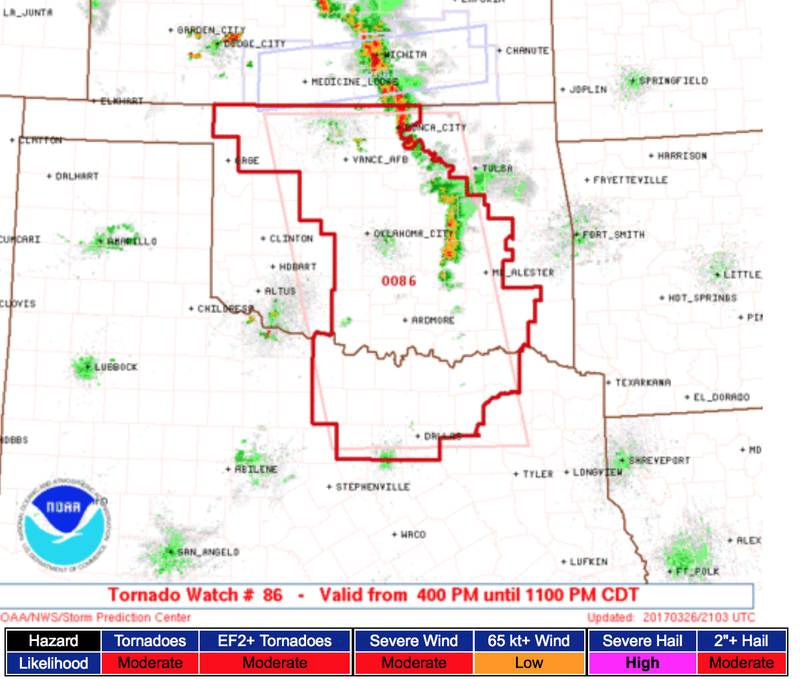 MSE Creative Consulting Blog: Tornado Watch Just Issued For Oklahoma and North Texas Until 11pm. 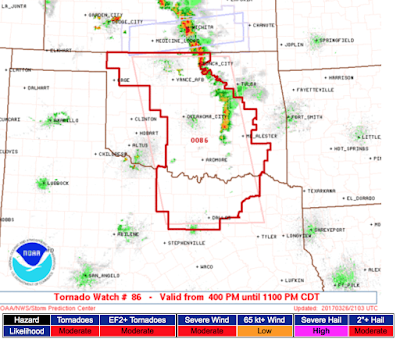 Tornado Watch Just Issued For Oklahoma and North Texas Until 11pm. A tornado watch has been issued for parts of central Oklahoma and north Texas (the Dallas-Ft. Worth Metroplex is included) until 11pm. The area I'm most concerned about for tornadoes is from around Pauls Valley in southern Oklahoma to around Gainesville in northern Texas and one county on either side. 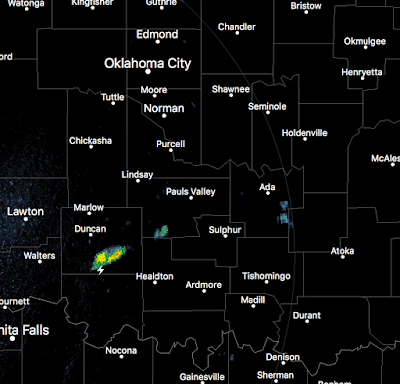 The first thunderstorm is developing southeast of Duncan, OK. on the 4:07pm radar. 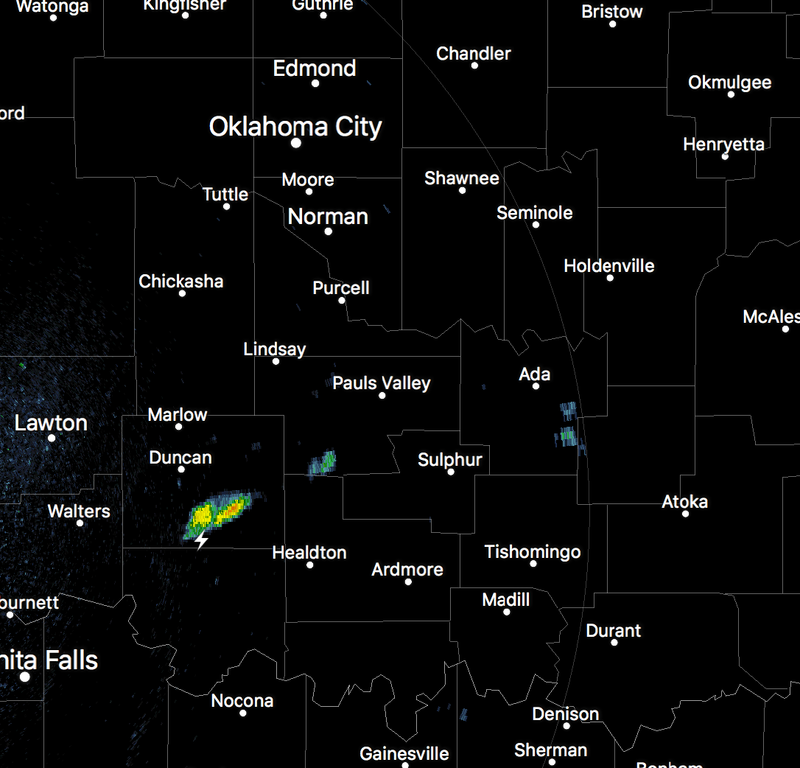 It should begin moving northeast.